Ever since the introduction of smart phones, mobile devices have taken over the world by storm. Today, not only our mobiles are as smart as our computers, other dumb gadgets such as TVs, fridges, watches and automobiles have also become smart. Using current technologies, you can communicate with almost all of your devices. 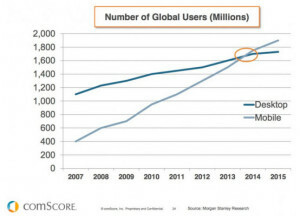 According to a recent white paper published by comScore, in US alone, mobile devices takes up 60% of digital media time. With more than 1900 million global users using mobile devices, mobiles have become the most preferred form to stay connected to internet. With such a huge amount of users, security no doubt is of highest priority. According to a Gartner report, more than 75% of the appswere predicted to fails in even providing basic security, which turned out to be correct. With the discovery of some alarming bugs such as StageFright, a bug which affected millions of Android device and exposed user’s sensitive data to hackers, mobile app security has becomes more essential than ever. Mobile OS developers such as Google and Apple are already working on making their OS more secure against any such bugs or attacks. With Apple’s iOS 9 being more than secure than ever, Google have also beefed up security with their latest OS – Marshmallow. With more number of users performing sensitive tasks such as Internet banking on their mobile devices, mobile security will remain to be a big issue in 2016 as well. With cloud technology becoming cheaper and available to more developers, year 2015 saw some great apps which were using cloud technology at their hearts. With the help of cloud technology, developers are able to develop smaller apps which are faster than ever,while saving bandwidth and reducing memory issues. Using cloud computing, users can sync their data between various platforms such as mobile devices, tablets, PCs and wearables. This helped users to continue and track their work from anywhere and everywhere. With Apple providing more than 10,000 wear & Google providing more than 4000 wear apps, cloud integration becomes more necessary than ever. According to Gartner’s recent survey, more than 43 % organizations are either already using or planning to incorporate IoT in their applications. In 2016, we are expecting apps to be more focused on work and on getting the job done. The apps will also be more aware about their surroundings by communicating with other devices. IoT will also help enterprises by providing them with large sets of complex data which will be flooding with data, in real-time, from all the connected devices which will help enterprises in rapid decision making.Since IoTs will be everywhere, developers will have to create apps which can analyse and consume real time data sent by the devices and sensors. Wearable tech is the new fashion in today’s world, thanks to Apple. So far, the app developed for wearable tech such as watches were primarily developed for health and fitness. But in last few months we have seen that developers have started to develop apps that primarily focus needs of enterprises. According to Juniper Research, “Already used in training to monitor performance, smart clothing will also become an important part of watching sports in the future, with leagues like the NFL partnering with Microsoft and Zebra Technologies to produce live visualizations of data and new ways for fans to understand each game”. For example, a new trend in fashion and clothing industry is to consume wearable tech. Ralph Lauren has already launched a polo tech T-shirt which can measure heart rate, breathing depth and other biometrics and send that information to Apple Smart Watch. We are heading in a time where all our devices can talk to each other, process their information and act on the information automatically. Not only this, the devices will be tightly coupled with cloud technologies so that we can get new information as soon as it arrives. Although this might appeal very attractive, we have to be cautious about the security of the data shared. Now since mobiles, wearables and IoT are getting tightly coupled, privacy breach due to hacking will cost us more than ever. So it becomes our responsibility to draw a line on the amount of data we share with these new technologies and ensure that no sensitive data is available to the hackers.